Erivum Puliyum: Milk(Doodh) Peda | Milk Fudge & My 400th Post !! Hurray !! 400th post.. very happy to share this moment with you all friends,well wishers & readers.Never thought I would reach this number when I started off blogging.Thank you so much for all the support and encouragement that you guys showered through comments,mails and likes.Hope you all will extend & maintain the same in my upcoming posts too.A special mention of thank my blogger friends who regularly drop by my space and leave their opinions and inspire me to blog further.I would also like to thank my family especially my kids who always waited patiently for my dish to be photographed.They had been always the best critics of my dish. Thanx a lot all !!! 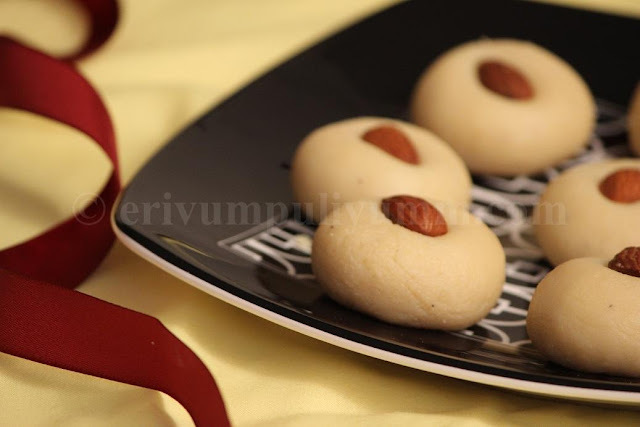 So,as I always mention every sweet moment in life needs a sweet to share.This is a simple sweet popularly found in all Indian sweets shops and an easy to make one.I made this using condensed milk and milk powder.This peda has all the richness of milk and a quick one to prepare as dessert when you are short of time.Enjoy making these sweet cuties at home and you'll find them vanished within no time.Check this out,friends !!!! -Heat butter in a non stick pan,add in the condensed milk and milk powder.Whisk well using a wooden spoon without any lumps. -Add a pinch of salt,keep stirring until the mixture is thick,takes about 15-20 minutes on medium flame.Don't keep the flame on high otherwise it may burn the bottom of the pan.Add in the cardamom powder and mix well. -Put off flame and remove from stove top.Leave to cool a bit until its warm to handle.Grease your palms with a little ghee and make small smooth round balls.Place an almond in the center and press down the almond so that the pedas flatten and get shapes. -Place on a plate and repeat the same steps until you finish.Serve in no time!! * You can roll the mixture by greasing the surface with ghee,and cut out using cookie cutters to get different shapes,makes easier. * If your mixture turns very dry and crackles,add a tbsp of milk to loosen it a bit. * Greasing hands with ghee helps to get smooth pedas. 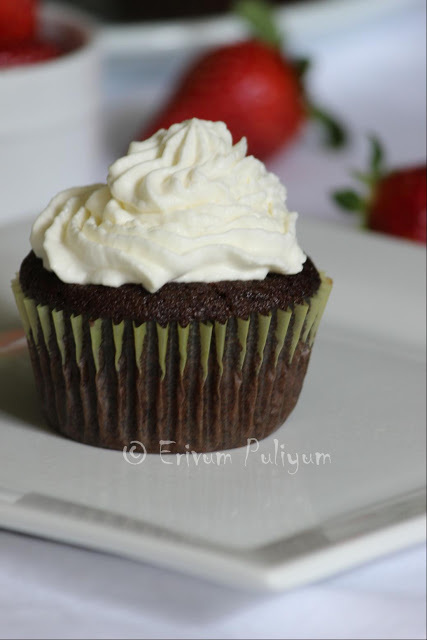 * You can add about 2 tbsp of cocoa powder to the same mix and make chocolate pedas too. * You can leave almond topping or even add pistachios as topping. * You can even add 2 strands of saffron to add color to pedas.I haven't done that. Ahhh lovely! 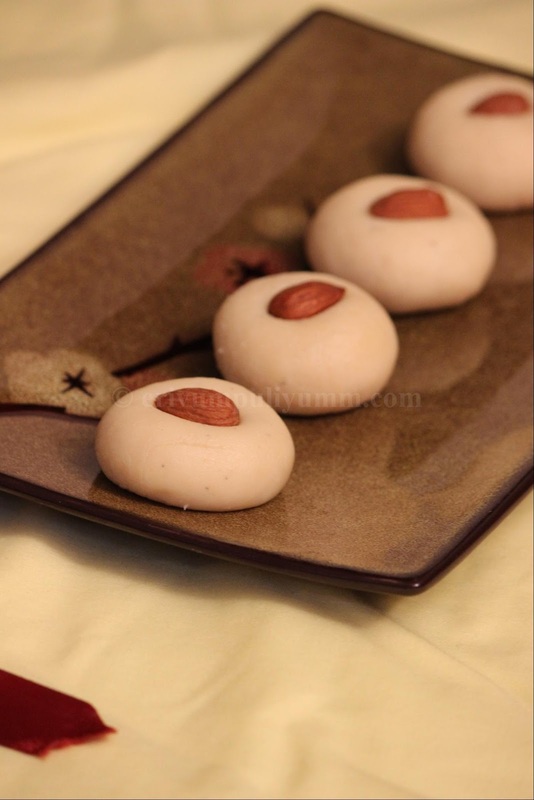 I love doodh peda anytime and your sweet have turned out perfect. Congrats! Perfect recipe for 400-th post! wow congrats dear, perfect visual treat for us, lovely peda!!! Delicious looking pedas. Congratulations on your milestone Julie and keep them coming. i want to have all of them..
Congrats on your 400th post. This is one of the best peda I have seen. Soo inviting. Congrats dear!!! 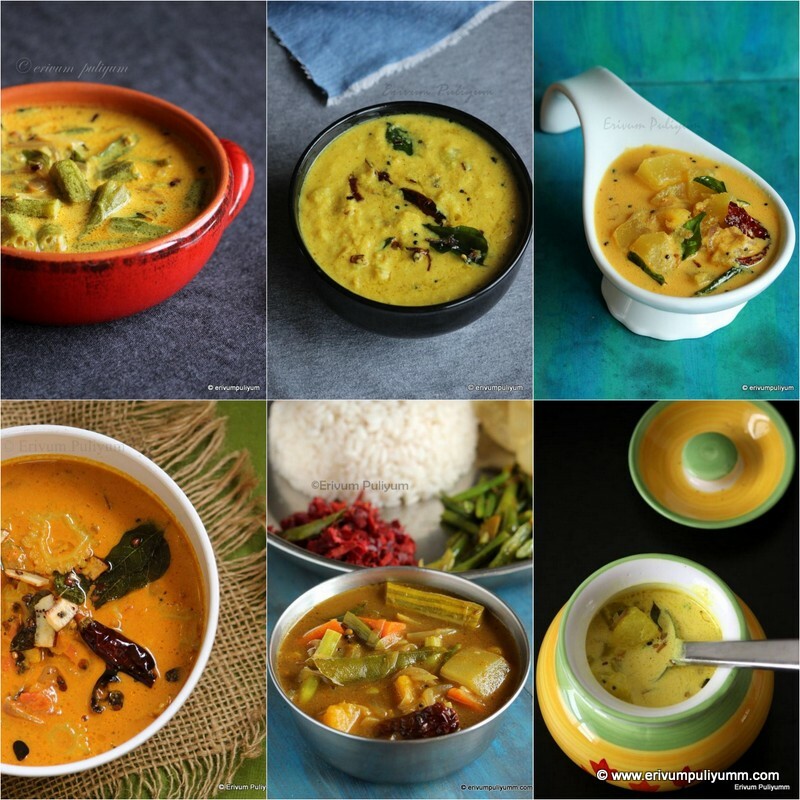 lovely and mouthwatering pedas. Now a days very busy with kids, no time for blogging and visiting the blogs. Indeed an accomplishment dear friend...you have many milestones to come.Enjoy and energetic more to achieve those..Cheers and hugs to you..
Nice recipe as well to celebrate ! 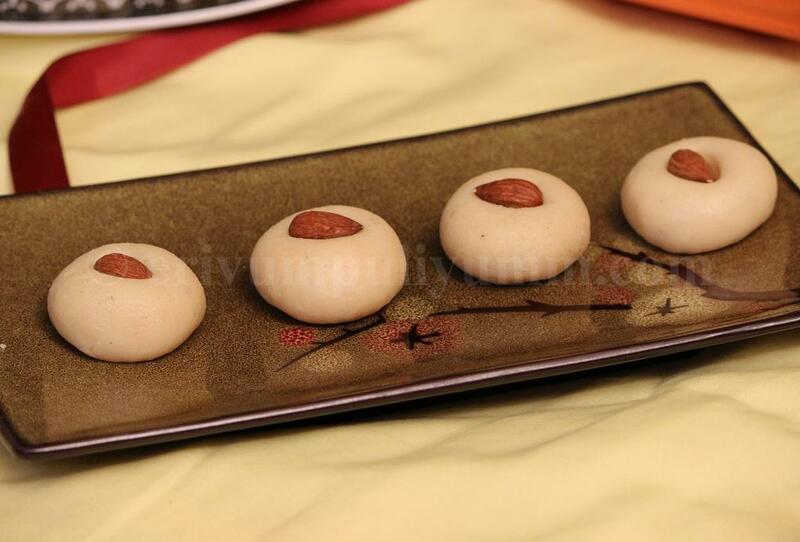 dudh peda looks so delicious. Congrats on your 400th post. tempting peda. Congrats dear. 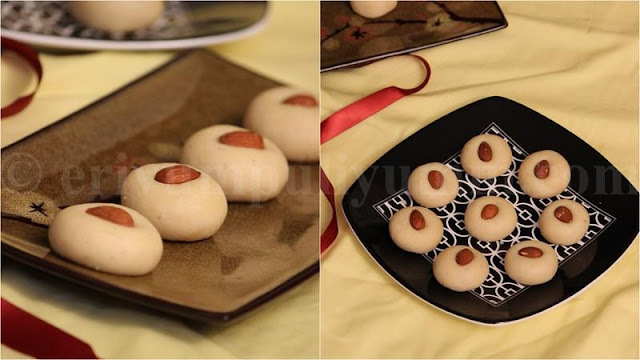 Yummilicious peda dear. Congrates and what a lovely dish to celebrate with it. Julieee, Thats a great acheivement dear. You are so consistent in blogging, love your enthu. Keep up the spirit girl, Congrats and best wishes for many more hundrends to come!! Congrats Julie, way to go girl, the pedas look so perfect..
congratulations dear....pedas luv very inviting..
Congrats Julie,way to go gal..
Pedas looks super prefect and simply irresistible,lovely and beautifuly presentation. Congrats. Looks cute n perfect. Nice clicks. Your pics are so good n great presentation dear...way to go!! Best wishes for many more posts ! congrats julie :) wish you many more..
Congratulations Julie on your milestone. 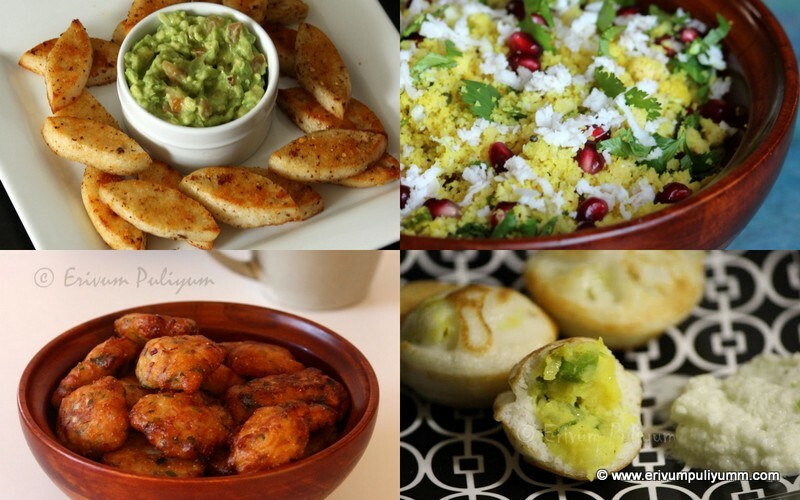 Pedas look marvelous & incredibly easy to make, wonderful presentation! Congrats on your 400th post Julie. Great way to celebrate it. I'm loving the new look of your blog. The peda pics look lovely too. Congratulations and keeps the recipes coming ! Wow! Congrats! These are yum pedas. CAn I get a few? congratulations on 400th post..you are being selfish now. how can you eat all these by yourself?